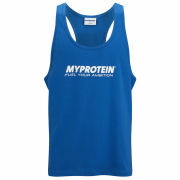 The Myprotein Men’s Running Tank is designed for endurance based events such as long distance running and cycling and is perfect for both training and races. 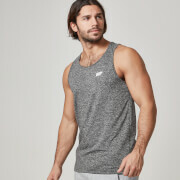 The material is made up of 100% polyester with multiyarn fabric and features a lightweight construction for optimum mobility and comfort for your training or competition. These products are a smaller fit than our normal lines so if you want a similar fit please buy the size up.